This is an A Grade Factory Refurbished model, which may have some minor cosmetic blemishes. It has gone through a careful refurbishment process and has been tested to the highest standards to ensure it works as you expect it to. When you purchase a refurbished phone you are guaranteed a fully functional phone. Cosmetic imperfections such as scratches or marks do not affect the operation of the device. With the Samsung Galaxy Note8, the future is truly in your hands – and you’ll love the full screen display, the dual rear cameras and advance security features it comes equipped with. The possibilities are endless with the Samsung Galaxy Note8. See the bigger picture, with a stunning edge-to-edge screen that makes writing emails, browsing the web and viewing photos and videos a delight. 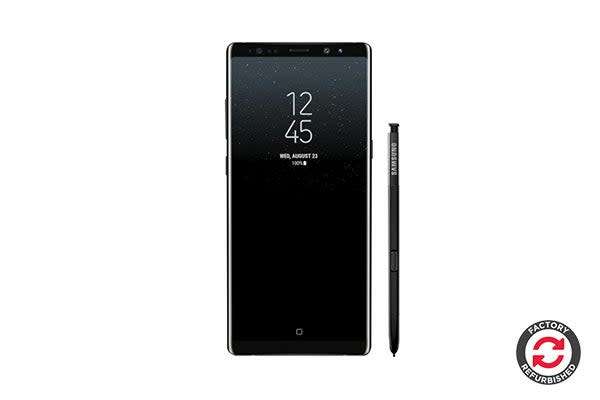 You’ll gain total peace of mind with the state-of-the-art security technology that the Samsung Galaxy Note8 is equipped with. The Iris Scanner and facial recognition technology means that only you and you alone can access your phone. You’ll never have to worry about lugging around bulky cameras again with the Samsung Galaxy Note8 nestled in your back pocket. 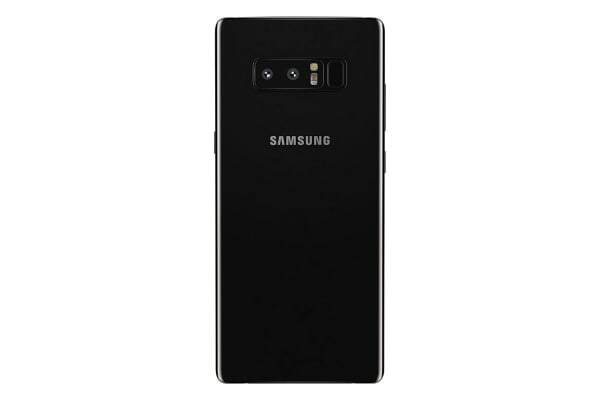 The Note8’s two advanced rear cameras come with 2x optical zoom and optical image stabilisation, with fantastic low-light capabilities to ensure you never miss out on snapping that perfect shot. 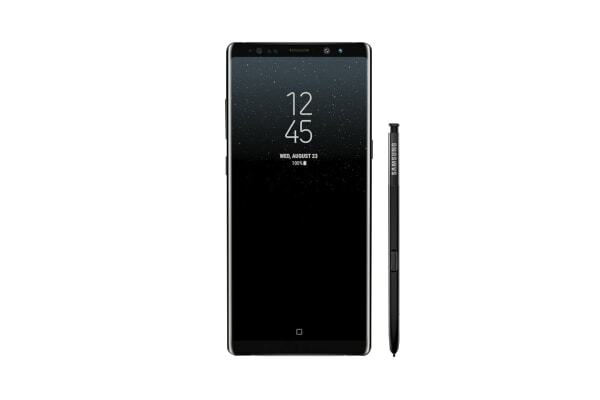 With the Samsung Galaxy Note8, the pen has not been made redundant – it’s been revolutionised. Take notes, scribble out a handwritten message to a friend or customise images with the pressure sensitive S-Pen.